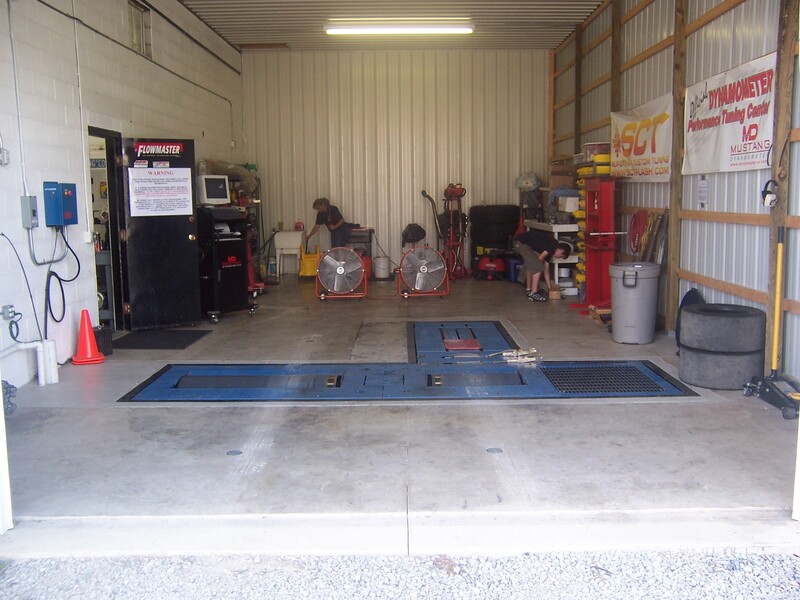 In addition to the dedicated service bays, we also have a 20’ x 40’ dyno bay equipped with an in-ground Mustang Dyne MD-1100SE dynamometer. Our dynamometer is capable of more than 1100 horsepower and 200 MPH! The easy on, easy off nature of the in-ground dyno makes it perfect for club days and dyno shootouts. It also makes it a breeze to tune your car without having to tip-toe around catwalks 5-foot in the air like at other shops. Since we use the Mustang Dyno, an eddy current brake dyno, we can simulate nearly any condition your vehicle might see. This gives us the uncanny ability to resolve drivability issues that other shops won't even notice. We can even make 1/4-mile runs on our dyno, complete with 60', ET and MPH splits. We provide high quality and experienced dyno tuning services. If you're looking for a few quick pulls to see what the car/truck/bike puts down, we've got a value package that suits your needs. We also offer very affordable full service dyno tuning on our Mustang Dynamometer that will get your ride running at peak performance. Whether its carbureted or EFI, we've got the experience and the tools to do the job. We are professionally trained and certified in electronic fuel injection (EFI) tuning and make considerable investments in continuing education to ensure that we're on top of the latest technologies coming out of Detroit. We offer the following price estimate list as an example of our basic cost structure. Since all vehicles and services are unique, we will provide a detailed cost estimate for your approval before beginning any work on your vehicle. Parts and sales tax not included unless otherwise noted. Prices subject to change without notice. Shop fees (miscellaneous supplies, etc.) apply as does local sales tax. We also have access to numerous machine shops for support work. 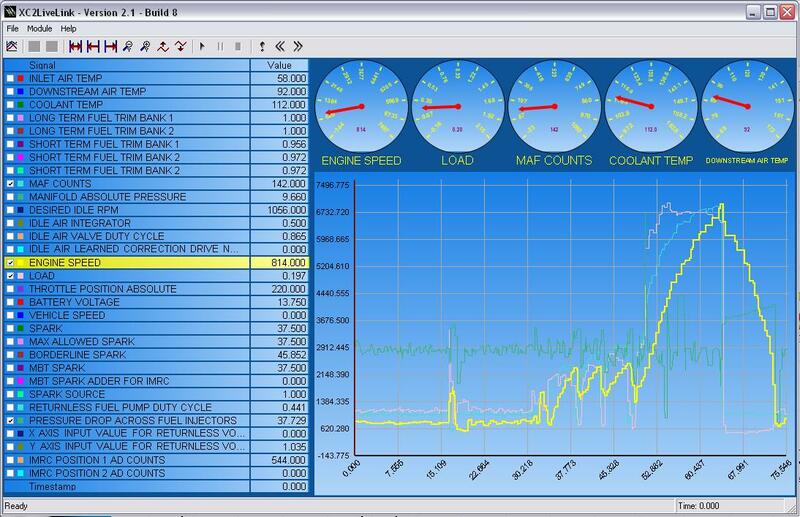 Check out our Tuning Tips before you schedule your next dyno or tuning appointment! We have modules for intake boost and vacuum. Call for details. Our dyno is equipped with an on-board weather station to calculate the weather correction factors. We have tail-pipe adapters that will allow for A/F measurement without the need for drilling and welding an O2 bung at the collector. Call for details. Car club and multi-user discounts for the dyno are available. Call for pricing and scheduling. Dyno tuning sessions are also available in conjunction with our SCT tuning products. CRT Performance will also provide tuning support at the customer's site or at track events. This can be convenient for race teams, machine shops and in other situations where tuning at our shop may not be possible. Call for pricing and schedule availability. CRT Performance uses the ECM AFM-1000 wide band air-fuel monitor for the highest accuracy AFR readings while tuning your vehicle. This wide band system is the same system used by the major automotive manufacturers in their own calibration labs, so you can be assured that we're tuning your car based on the highest accuracy data available. 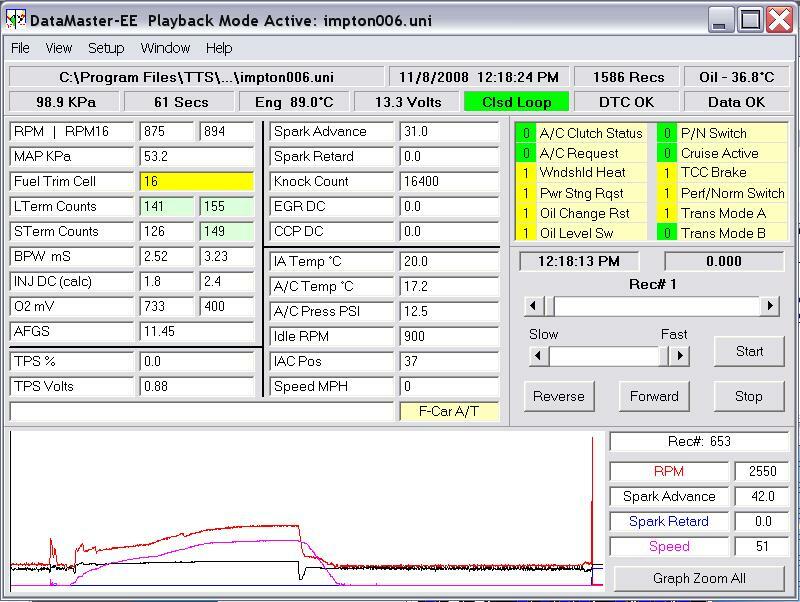 Most EFI vehicles take a minimum of 3-hours to dyno tune properly. Forced induction vehicles may take longer depending on the combination, level of boost, etc. We follow a very methodical process for tuning of all vehicles to ensure the highest quality product possible. Some vehicles require additional road testing & tuning to supplement the dyno work. If we determine that your vehicle requires this additional road tuning, we'll attempt to let you know at the time of scheduling so that you can make alternate arrangements for travel to and from the shop. If you've ever tried to seriously tune or troubleshoot today's complicated computer-driven vehicles, you're keenly aware that there is no substitution for having real-time information. 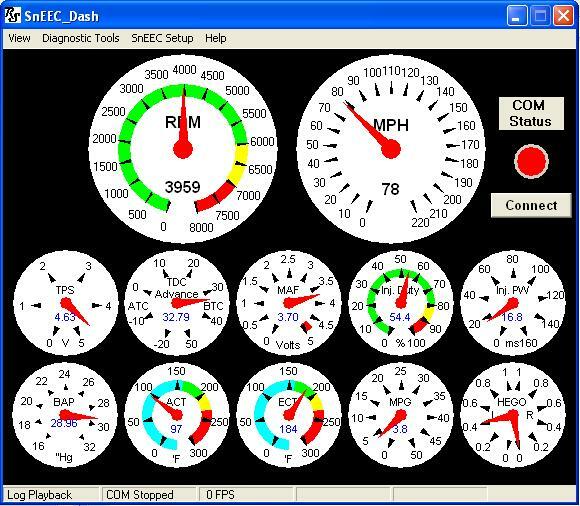 At CRT Performance, we have the capability to data log almost any Ford or domestic processor during tuning. We utilize SCT's PID-based real-time data logging for both EEC-IV and Spanish Oak processors and we utilize Race Systems SnEEC-IV data logger for EEC-IV processors. For the GM crowd, we use HPTuners VCT Scanner and TTS Datamaster. These are just a few of the tools that let us make expert decisions with your vehicle. We've made the investment in the data logging equipment so that we can solve your toughest problems and provide the best EFI tuning available. For carbureted vehicles, we have developed several key tools that let us map out the performance, and make the adjustments necessary to optimize performance. Just as with the EFI vehicles, this lets us dial in your combination for the best performance, driveability and manners that can be expected. Our dyno can accommodate motorcycles as well. We can test your motorcycle and tune select brands using the Harley Davidson Screaming Eagle EFI tuning software or Dynojet's Power Commander system. Call us today!